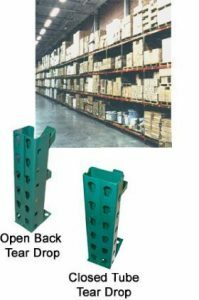 Pallet Rack Liquidation | ACE Industrial Equipment, Inc. Ace Industrial is a leader in finding pallet racks through liquidation sales. When companies face bankruptcy or downsizing, they sell off their assets—or liquidate—to pay off their debt and efficiently move out of their commercial space. These liquidations often mean you can buy pallet racks at a fraction of the original price. Many times, pallet rack liquidators sell used pallet racks at half of the price or less. As Ace Industrial searches for pallet rack liquidation sales across the United States, we find that many of the pallet racks available are in like-new condition. In turn, we pass on the quality and the savings of pallet rack liquidations straight to you! To discover how Ace finds the best pallet rack liquidators in the country, call us at 1-888-332-4922. We proudly serve businesses in Gulfport, MS; Mobile, AL; Knoxville, TN; Dallas, TX; and all other cities in the U.S.